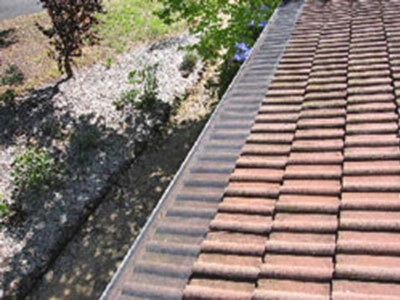 Leaf free Gutter Guard is Australia’s leading gutter protection system. No drilling or riveting and maintenance free. Tough and durable backed up by a 15 Year Manufacturers Warranty. Gutter-Mesh is resistant to UV Rays and varying temperature ranges. 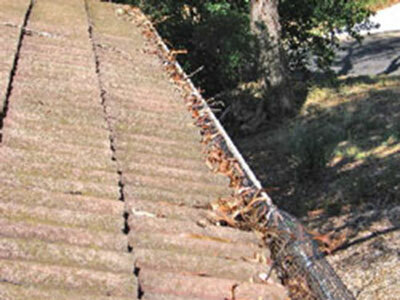 Leaf free Gutter Guard improves the lifespan of roof gutters by preventing leaves blocking and rusting out gutters. Leaf free Gutter Guard allows rainwater to pass through while leaves and other debris is blown or washed off by the weather. 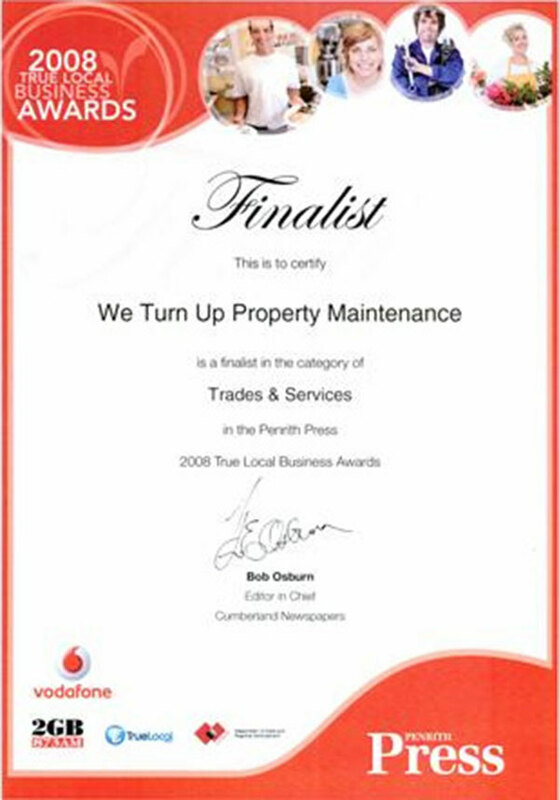 No more stump or foundation water damage. Leaves now fall to the ground instead of mulching in the gutters, clogging and causing overflow problems. Leaf free Gutter Guard hi-tech aluminium or stainless steel screening is designed to suit almost any type of roof gutter architecture and climatic conditions. 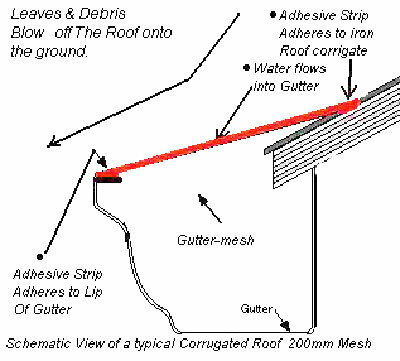 The specially formulated, space age, all-weather adhesive bonding strip adheres to the surface allowing debris to float straight over while water flows directly into the gutter giving you a trouble free gutter system and peace of mind. Leaf free Gutter Guard is easy enough to do-it-yourself with full fitting instructions and a really helpful DVD instructional video. If you prefer you can have Leaf free Gutter Guard installed professionally.